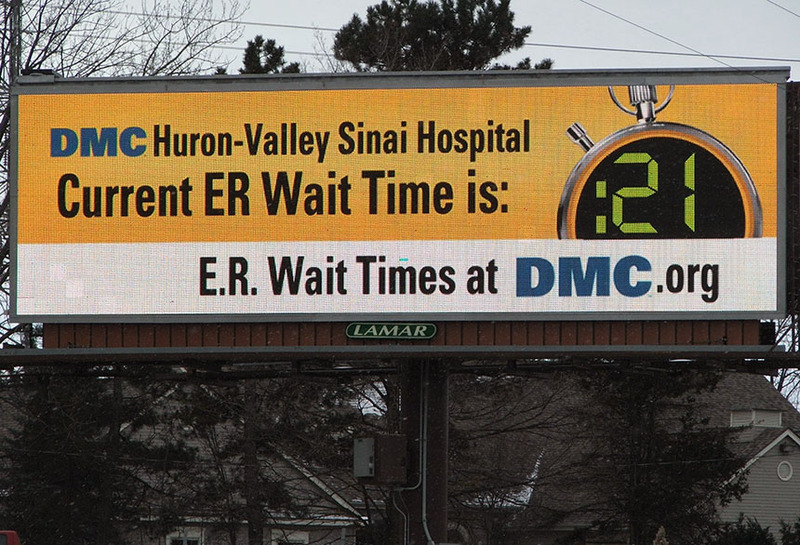 The Detroit Medical Center made use of Lamar digital billboard capabilities in a new and unique way. They live broadcasted the ER wait time to the board. This not only drew the attention of drivers to the board, but informed them on the effectiveness and efficiency of the Detroit medical center. Live broadcasting of statistics, times, weather, countdowns, etc. are some of many of the great aspects of digital advertising.